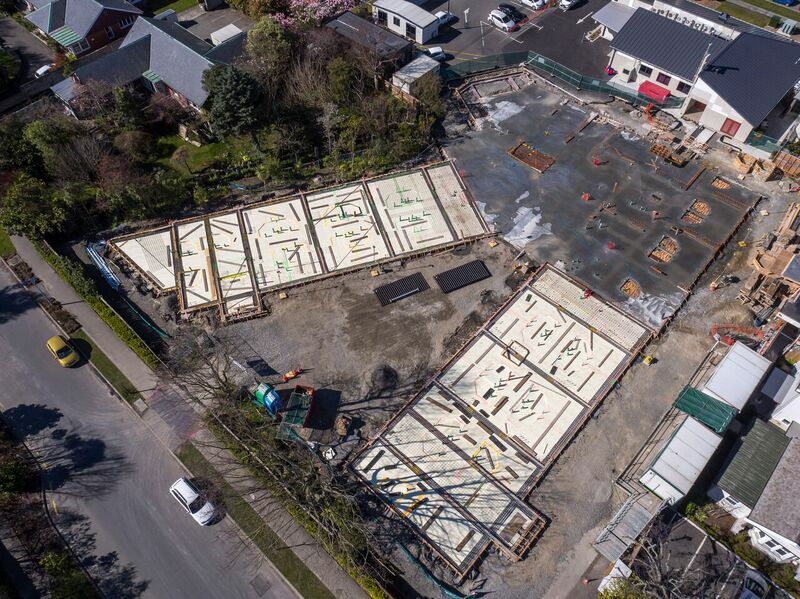 Designed in partnership with Trengrove Architects of Christchurch, the Nurse Maude Aged Residential Care building replaces an existing smaller facility damaged beyond repair during the Christchurch Earthquakes. The two storey building houses 75 residents who are unable to live alone unassisted, and provides round the clock residential nursing care in a comfortable environment with individual ensuite rooms, shared lounge and dining spaces and landscaped outdoor areas. The design team carried out extensive information gathering sessions with staff and management to ensure the design meets the needs of not only the residents, but also those who care for them.